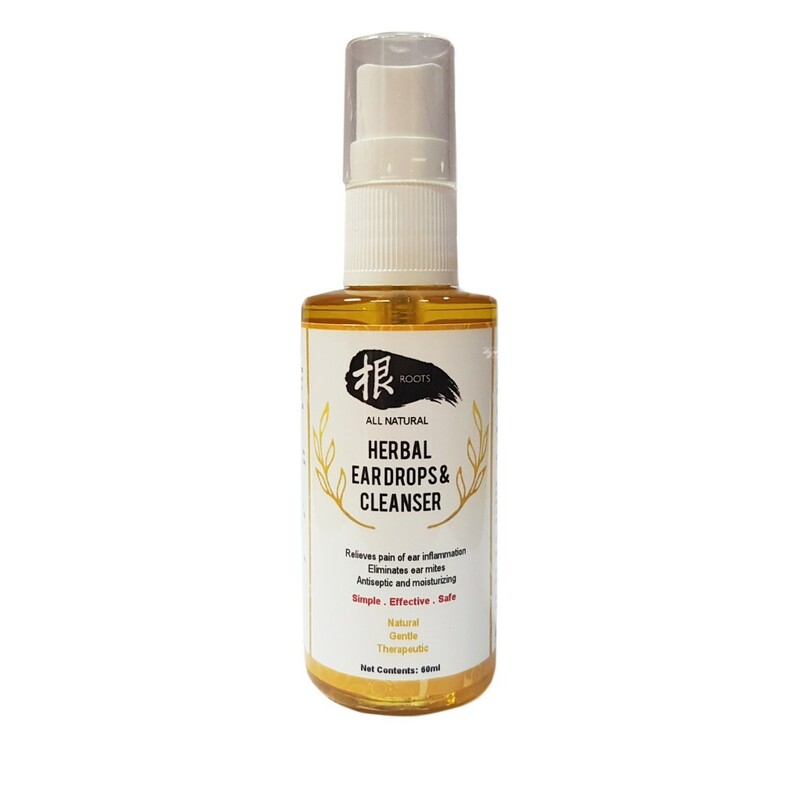 Our herbal ear drops and cleanser is a herbal ear cleaning oil blend made with botanical infusions, cold pressed vegetable oils and essential oils. An aid to the treatment of ceruminous otitis (excess wax in ears) and mild otitis externa (external ear canal infections), eliminates ear mites, and as an every day ear cleaner. Not to be used if inner ear infection is suspected. Helpful for minor itch and may help ease irritation caused by seasonal allergies, and bug bites. It contains mainly Jojoba oil, virgin Coconut oil, Peppermint and a proprietary herbal blend. Jojoba oil is used a room temperatures as an ear wax softener, an exceptional moisturizer. Virgin Coconut oil is excellent as a skin moisturizer and softener, reduces inflammation, and supports tissue healing and repair. Both oils applied topically and together with other oils and herbs help to form a physical barrier on the skin to ward off infection. Peppermint has antiseptic and decongestant qualities that can help relieve the pain of ear inflammation. Pump the oil into pet’s ear as required and gently massage the base of the ear to help soften the wax. Wait for pet to shake out the debris and unwanted wax, then use a cotton pad to gently wipe away the dirt. This would prevent the build-up of bacteria that could cause unpleasant odor and infection. The remaining oil helps to nourish the skin of the ear. Apply weekly, especially just before you bathe your pet. This would prevent water that goes into the ears during bath time from staying there, thereby preventing bacteria and fungal infections.